In the face of surging youth unemployment, the federal government has replaced hundreds of Service Canada centres for youth with a more robust website — something students say will reduce their employment opportunities even more. Jessica McCormick worked at the Service Canada Centre for Youth in Sydney, N.S., for three summers. This year, a website will replace her. "It was the best job that I could have gotten in my community over the summer," she told CBC News, adding that it was the only job she could find at the time that allowed her to fund her post-secondary education. These employment centres have opened every spring for more than 40 years across Canada. But this year, they are being shuttered by the federal department of Human Resources and Skills Development, which is instead opting to bolster its online services — and save about $6.5 million in the process. This move comes at a troubling time for young people trying to enter the labour force. According to Statistics Canada's latest Labour Force Survey, employment rates among people age 15 to 24 fell for the fifth consecutive month in February. The unemployment rate for Canadian young people is about double that of the rest of the population — something Matt Wood, the executive director of the Toronto-based youth employment centre First Work, said indicates that Canada is not nurturing its young job seekers. "We've forgotten how to transfer our knowledge to younger generations," Wood said. "I think they're about to face more challenges than they've ever faced." Alyson Queen, the director of communications for Diane Finley, the minister of human resources and skills development, said youth across the country have indicated they want more access to government services online. "In response, we are expanding www.youth.gc.ca with new resources to help youth find employment," she said in an email statement, adding, "Our government's top priority is job creation and economic growth, and that includes ensuring Canadians have access to the tools and services they need to find employment." In this vein, the government is instead directing young people to regular Service Canada locations, where they will still be able to receive assistance in person. Queen said the number of people visiting youth employment centres over the last few years has decreased but added that the ministry has mostly only anecdotal evidence as proof of that. "By enhancing the online features on www.youth.gc.ca and offering services at Service Canada offices, there is no longer the need for these seasonal, temporary locations to be established," she said. For her part, McCormick disagrees with the ministry's assessment and says there was considerable traffic at the offices she worked in each summer. "Especially in rural communities, there aren't a lot of employment opportunities to begin with," she said. "People really rely on these centres." Queen said that, in 2006, 5,700 students visited the youth centre in Montreal, compared to just 650 in 2011 — a trend she says can be seen in many across the country, in which fewer students were using them. But McCormick said youth service officers also did outreach in the community – setting up booths at events, festivals and high schools. "Students may not have necessarily been coming through the door, but they were meeting with youth services officers, whether it was at a local high school or a fair," she said. As for directing students to centres used by the general population, McCormick said these centres are already doing more with less, and don't have the resources or the time to help inexperienced young people in particular. "We're already seeing cutbacks at Service Canada centres across the country," she said. "It was my experience as a youth services officer that we actually helped out with their front line services – whether it was people applying for employment insurance or a social insurance number." 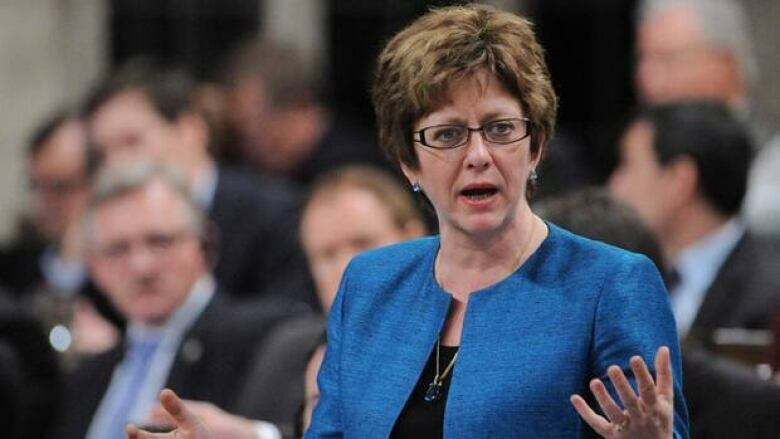 Jean Crowder, the human resources critic for the federal New Democrats, told CBC News that herding young people into these already crowded Service Canada centres signals that youth unemployment isn't a priority. "I've spoken to some offices that sometimes have a three-hour wait," she said. "It's simply that they don't have the resources to serve the people that are coming through the door." Crowder also took issue with the way the ministry presented the closure of the offices. "The way the minister announced it was geared to not pay attention to the fact that the centres weren't going to be open," she said. That sentiment was echoed by Roxanne Dubois, the national chair of the Canadian Federation of Students, who told CBC News the announcement was set up only to highlight online resources for students. "Then deep into the lingo, you find a phrase saying that they're discontinuing the service centres," Dubois said. She said this move doesn't acknowledge the fact that young people face specific challenges — like the high unemployment rate. "You can't replace advice from real people with blog posts or updates on a government website," Dubois said. "A social media strategy should never be the only one that you use," she said. "There remains a real world out here in which young people need help."